From Teens to Oscar Winners. Enjoy screenings with question and answer sessions, producer panel & Pitching, Networking Lounge, International Art Exhibit, Marketing Table, Creative Mixer, Screenings, Awards Ceremony, Scheduled Food Trucks, and more. New Media Film Festival continues to show its lasting power and potential to evolve - there is scope for truly groundbreaking and compelling work in the world of storytelling. The festival is designed to both discover and cultivate highly creative work from emerging and seasoned content creators. 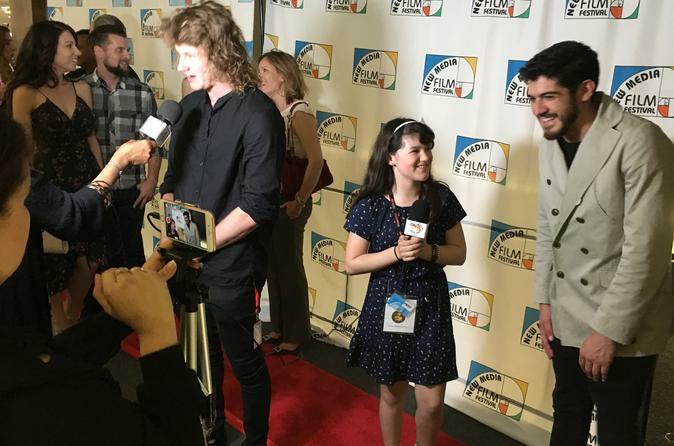 Filmmakers will benefit from a Red Carpet Press Junket, VIP Soiree, Panels, live music, networking lounge, international art exhibit, Q&A's after their screening, audience awards, and much more. For years, New Media Film Festival has led the way in the pursuit of stories worth telling, the exploration of new media technologies, boundary pushing resulting in new distribution models and creating and establishing new methodologies in the global monetization of content. The New Media Film Festival embodies the transformative power of the cinematic arts and it reaches across cultural bridges to wed story and technology for everyone. JUDGES: include representatives from HBO, Marvel, Emmys, Grammys, Oscars and other Industry Leaders. A feature film and a VR short were funded during our festival. An attendee teamed up with Matthew Modine and his son to produce content, distribution deals were made, talent cast and people got hired. Put your innovative work forward and join the unique community of content creators at New Media Film Festival - submit today!